The running back for the Buffalo Bills did more than just kneel in protest on Sunday’s game. 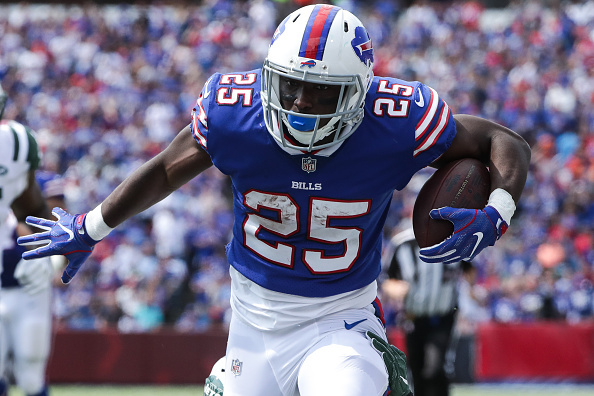 Video footage from the Bills vs. Broncos game on Sept. 24, shows LeSean McCoy continuing to warm up and stretch his legs on the ground as the national anthem plays. ABC sports reporter Matthew Bove posted a short video on Twitter showing what McCoy was doing. After the game, McCoy tried to explain his decision not to stand, blaming it on Trump’s recent comments on NFL players. McCoy’s opinion has changed considerably since he first criticized Colin Kaepernick, the first NFL player to take a knee in protest back in August, Daily News reported. Jim Kelly, former quarterback for the same team slammed McCoy’s behavior. Kelly told CBS Sports that he liked the player but did not agree with his actions. “I like LeSean McCoy, don’t get me wrong, but I totally, 100 percent I disagree with what he did,” Kelly explained. In a tweet on Sunday’s game, Kelly said that he was “really upset” at what the players did.